We have all seen the videos of people attempting to remove an ice dam from their roofs. They stand on ladders and poke at the ice dams with sticks and chop at them with axes. In many cases they may seem like bloopers, but in every case there is a real danger involved when removing an ice dam. 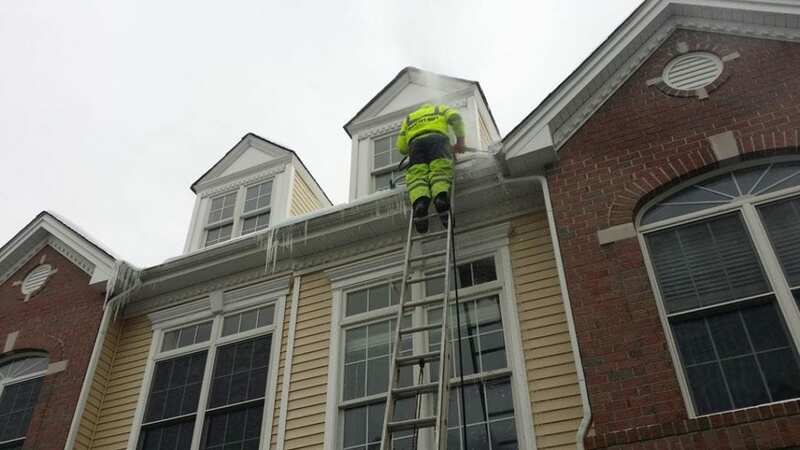 At Softwash Ranger, we know how to identify and safely remove ice dams from any roofing system. We have successfully removed hundreds ice dams without damage to the roof or gutter systems of homes in the North Jersey area. We are the only North Jersey ice dam removal company that uses a steamer to melt your ice dam. 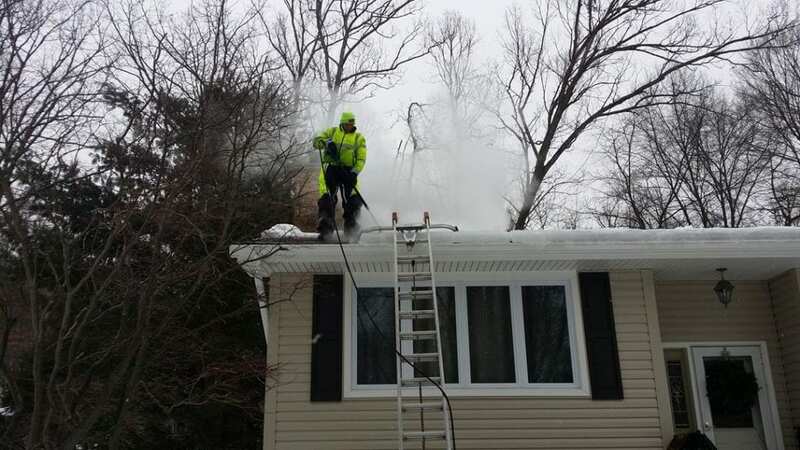 Steaming the ice is the only safe method to use that will not damage your roof. If you are in need of professional Ice Dam Removal Contractor then call Softwash Ranger and have your problems taken care of properly.me. As your Ice Dam Removal Experts of North New Jersey, we wanted to share some facts about ice dams and the dangers they can present. First off, what are Ice Dams? Ice Dams are the accumulation of ice on the edge or in the valleys of your roofing system that form a dam and will not allow any water to flow past. Sometimes they can form into long, heavy and dangerous icicles that are waiting to crash down on your property. 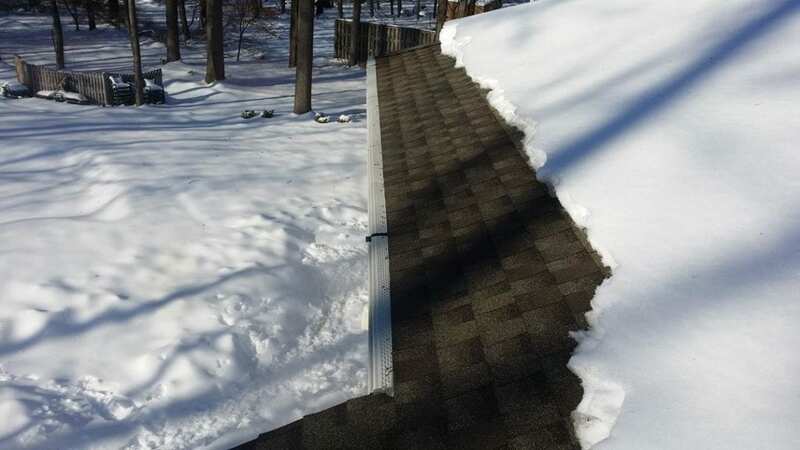 The ice can also fill your gutters and rip them off your home. How does an Ice Dam Form? Different areas of your roof are at different temperatures due to heat loss from the house and exterior conditions. 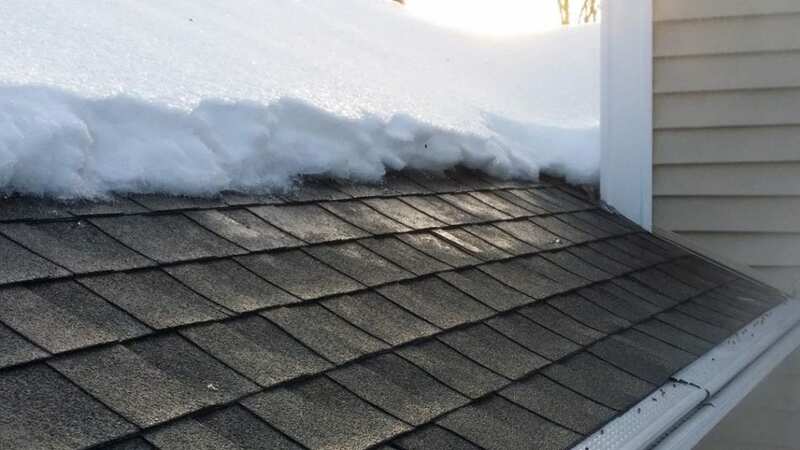 At an area of your roof that the temperature is above 32 degrees snow will melt allowing water to seep down towards the edge. When this water reaches a area of the roof that is below 32 degrees typically above your soffit it will again freeze creating a layer of ice that is frozen to your roof. This process repeats itself and over the course of a few days an ice dam can develop. Ice dams can be up to one foot thick and three to four feet high climbing up your roof. 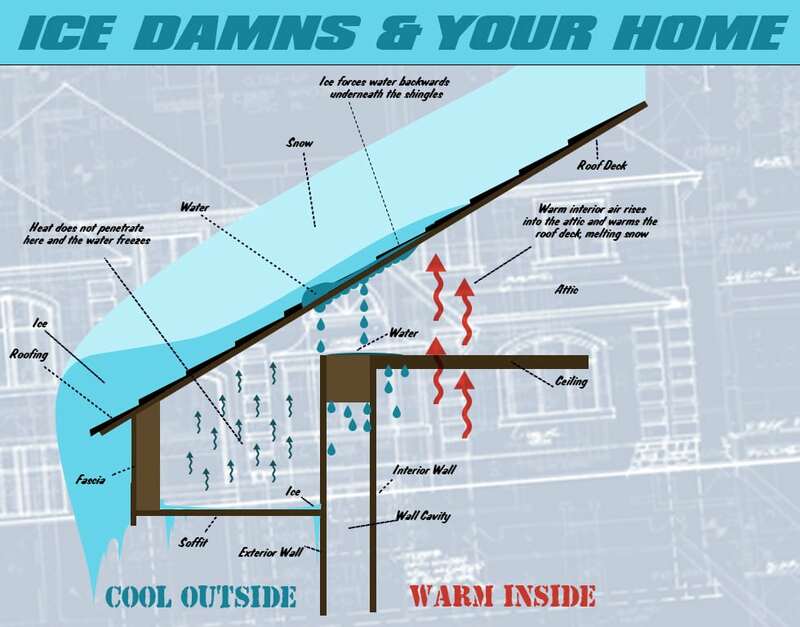 The ice dam will not allow any water to flow past and the water will pool and find its way into your house. The water that finds its way in will destroy your home. The water will wet your insulation, stain your sheetrock and can cause mold to grow in your house. It is better to address your ice dams early in their development. We offer a preventive maintenance program to help stop the formation of ice dams. Once these ice dams have formed they are dangerous to remove and it is highly recommended that only professional Ice Dam Removal Contractors attempt to perform this task. 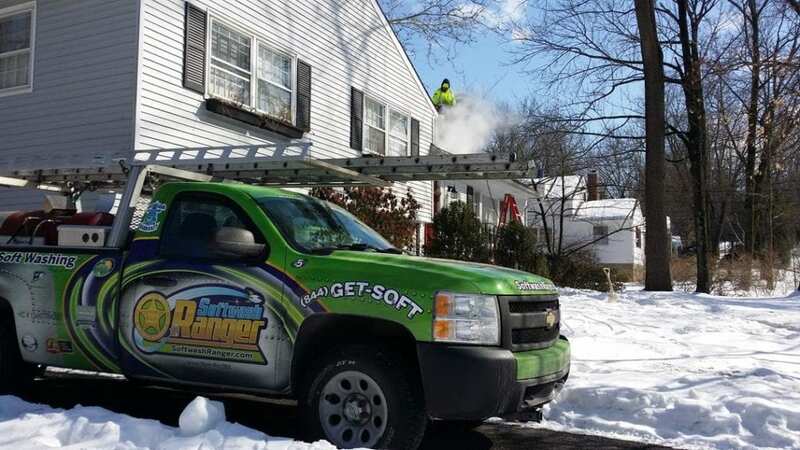 For professional assistance with North New Jersey Ice Dam Removal contact Softwash Ranger at 844-438-7638 today. 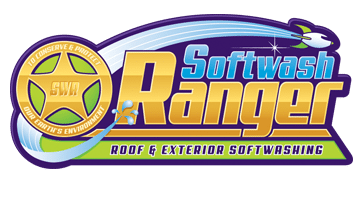 Why Choose Softwash Ranger for Your Ice Dam Removal & Roof Snow Removal? Our Ice Dam Removal & Roof Snow Removal professionals’ job time starts right when they arrive on your site. They do not have trip or travel charges. The Ice Dam Removal & Roof Snow Removal job begins with an attention-to-detail consultation with the customer. After our professional gathers what work needs to be done. Roof snow shoveling will immediately occur with: 1.exposing the entire ice dam and 2.creating a clear area for standing. Our professional will use your cold water spigot and will thaw if frozen. Your cold water will be used for our steam production. The steamer will be de-winterized and we will begin steaming the ice dams off of your roof. All parts of this job will be done with high safety measures and we bill at an hourly rate per our quote discussed. We have a minimum of 1 hour for each job. Out of that hour range, you will have entire control of how long our technician will stay on the job. They can stay and remove excess snow for however little or large the amount. When the 1-hour minimum is met we will bill in increments of 15 minutes. If you prefer additional snow removed by our technician, we can use your quoted rate for ice dam removal as snow removal is another part of the process. As there is always some safety risk to your rooftop when snow is being cleared, we shovel your roof with extreme caution. We only use plastic shovels and roof rakes. The shingle can tear if the roofing installer slightly misplaces a shingle. These infrequent shingles may be invisible to the human eye in cases of being battered by snow and wind on a roof. As these minor damages occur, they cannot be avoided. Shoveling an icy rooftop is a risky project. 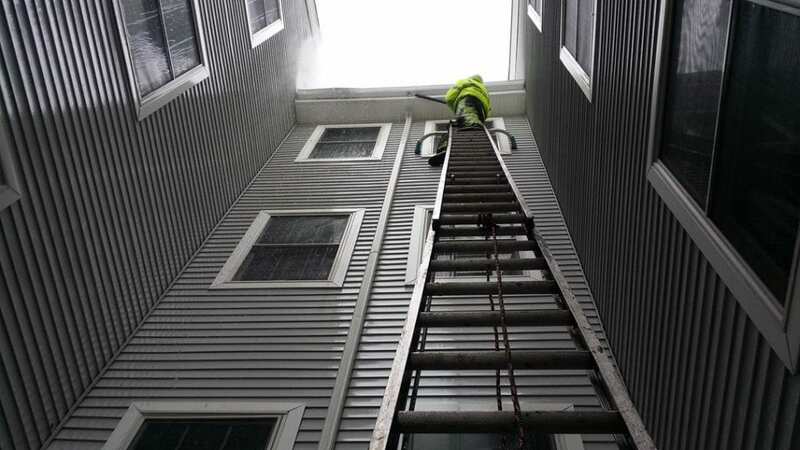 Therefore, our Ice Dam Removal & Roof Snow Removal professionals are not liable for shingles that might end up caught in our shovels or roof rakes, yet we will be as careful and attentive with your rooftop as humanly possible. 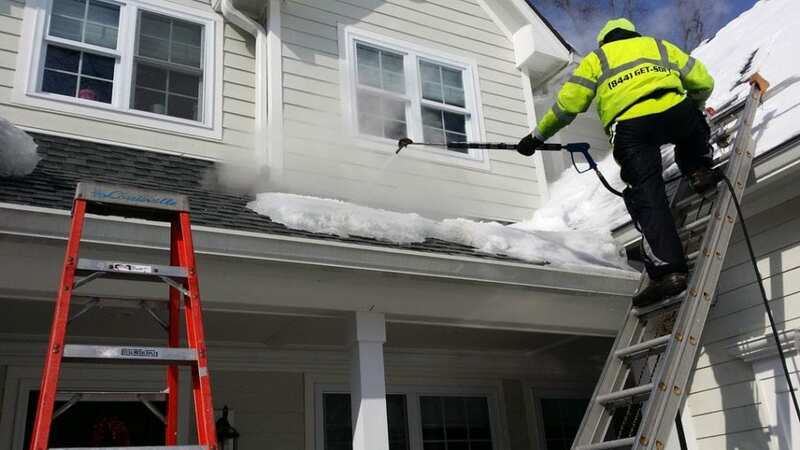 If we can remove your ice dams in less than one hour, which is a rarity, we would stay and spend the time remaining on additional, beneficial work like more roof snow clearing. 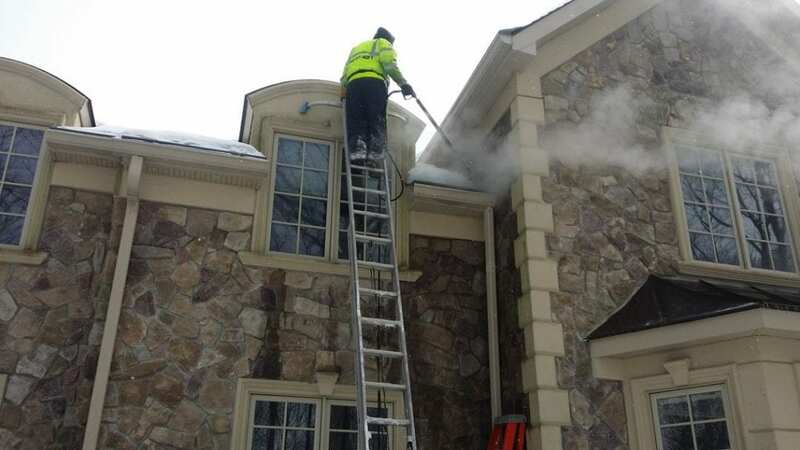 After completion of the ice dam & roof snow removal process, our technician will have the steamer prepared for travel by re-winterizing the steamer which will take several minutes. Then, our technician will securely repack all of the equipment to prepare for travel to the next job. This is when the job time stops. We do our best to make sure there are no slippery areas on your property, but we are not responsible for ice or water fallen on your property after completion. Excess melted ice cannot be controlled, so please be as cautious as you can. If you choose to deal with the snow piling on the ground yourself, please let your on-site technician know. We do know that snow and ice on areas surrounding your home that are not walked on often to not be harmful. Therefore, we do not remove in this case unless the customer requests. If you prefer us to remove excess snow in areas that are not frequent foot-traffic areas during the winter, please contact your technician before your invoice completion. As our technician has wrapped up and cleaned up the project items, our Ice Dam Removal & Roof Snow Removal professional will go through the invoice preparation. Our technicians cannot leave the on-site job until they are paid, so please be available on site or by phone at our job completion. We provide same-day as well as next-day and ice dam emergency service. 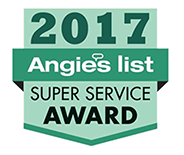 We use only safe and successful steam equipment that will not damage your shingles. We are Ice Dam Removal & Roof Snow Removal specialists. We can effectively help you prevent ice dams with our preventive maintenance program.